We have created a course called “How Coffee Cup Training works”. All you need to do is register; you will have instant access, and can take it for a test drive. The course is only about eight minutes. Couple of points. All our courses are available in E Learning, as in on a desktop PC. However they are also available on tablets, IPads and 99% of mobile devices. We also use Near Field communication tags and our Scan and Go solution. 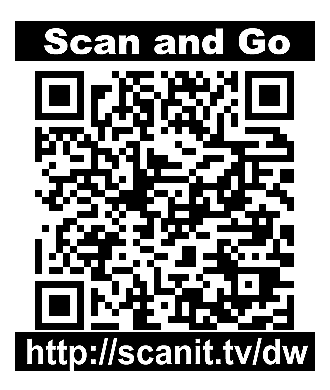 If you would like to try the course on a mobile device just scan the code or use the short code url under the image on the right and give it a whirl. Our content is mainly video and audio so try and pick a spot where there is free WiFi. Most coffee shops now offer this so that’s a perfect place to try Coffee Cup Training. Any problems or a desperate desire to praise us please use the Feedback tab on the right of this page.